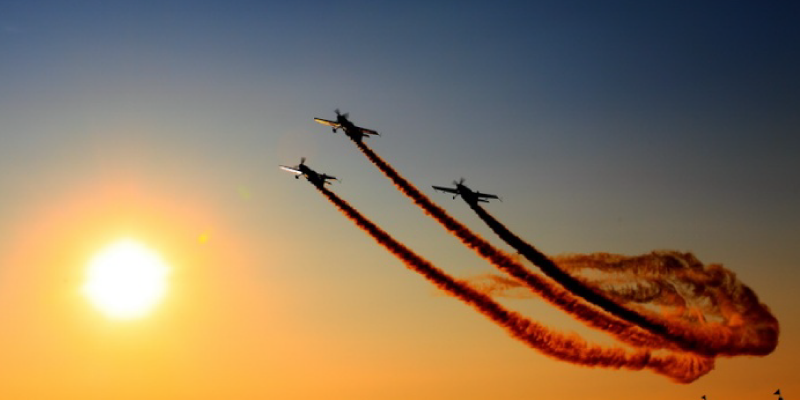 The Global Stars team provide spectacular formation air displays or solo air displays. ABARTH Cars UK has supported Mark Jefferies Air Shows in 2010, 2011, 2012, 2013 & 2014. The aircraft is equipped with camera equipment and transmitters for air-to-ground live video and to record the flying displays and air shows that Mark and Tom perform around the World. Tom flying as leader of the Global Stars team with the next major stop being Laiwu, China in October 2014. Thanks to sb:mktg for helping making it happen. Mark is flying the new EXTRA 330SC; Tom flies the Extra 300L or CAP 232 and will put on a stunning, world-class air display. Mark Jefferies has achieved great success and worldwide recognition as one of the most accomplished aviators in the UK; including 3rd in the 2011 World Aerobatic Masters, ranked 8th in the World in 2007 and 10th in the World 2009. Nine times British aerobatic champion (ADV & UNL). Mark Jefferies has spectacular manoeuvres, tumbles and spins in the Extra 330SC leaving pilots and spectators alike saying “how did he do that?” A flying display your audience will never forget… No show too large or small to attend. Corporate, Weddings and private parties a specialty – it’s not as expensive as you might first think and far better than fireworks. Mark bases his Extra 330SC at Little Gransden, Cambridgeshire (ICAO EGMJ) Gransden is a farm strip and has a main grass runway of 810 meters. The airfield is open to visitors either by road or by air. Gransden is the home of the British Aerobatic Academy and as such you will most likely you will find some aerobatic training taking place. Duel training in the Extra 300L or solo competition training in the Edge 540, Extra 300s or 330sc.